Servies Provided all over the UK by Uzma's. The areas we cover are Manchester, London, Birmingham, Cardiff, Glasgow and surrounding areas. 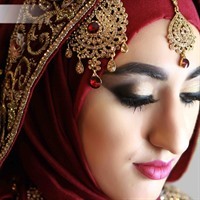 We have a very big team of Asian Wedding Photographers, Asian Wedding Videographers and Asian Bridal Makeup artists that have covered all sorts of Ethnic and religious weddings. Some of the weddings where we have provided services in the UK are, Indian Wedding Photography, Pakistani Wedding Photography, Bangladeshi Wedding Photography, Hindu Wedding Photography, Muslim Wedding Photography, Sikh Wedding Photography, Arab Wedding Photography, Somali Wedding Photography, Persian / Iranian Wedding Photography. Our teams of experts are very good at what they do and are familiar with most of the traditions that makeup an ethnic and cultural wedding. Our teams of Asian Bridal Makeup Artists work very well with our team of Wedding Photographers and Wedding Videographers. While one team is covering a bride getting ready for her wedding another team can provide coverage at the grooms house. For segregated weddings we have available all female wedding photographers and female wedding videographers. Asian Wedding Photography, Videography and Asian Bridal Makeup.